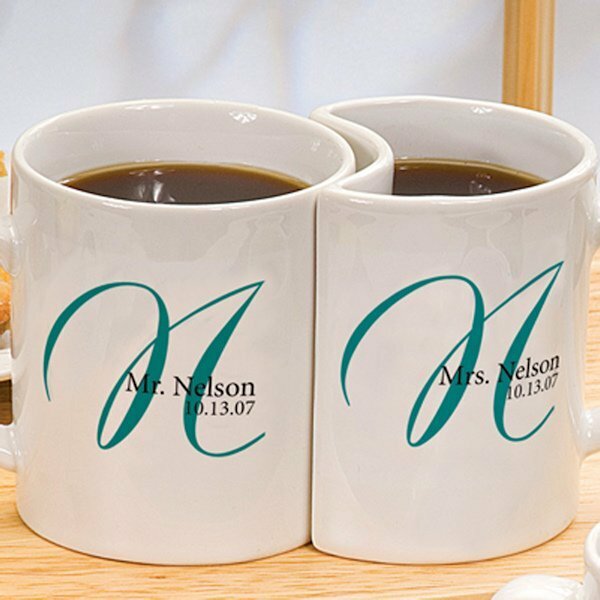 Enjoy your first cup of coffee as husband and wife from these fun personalized mugs. 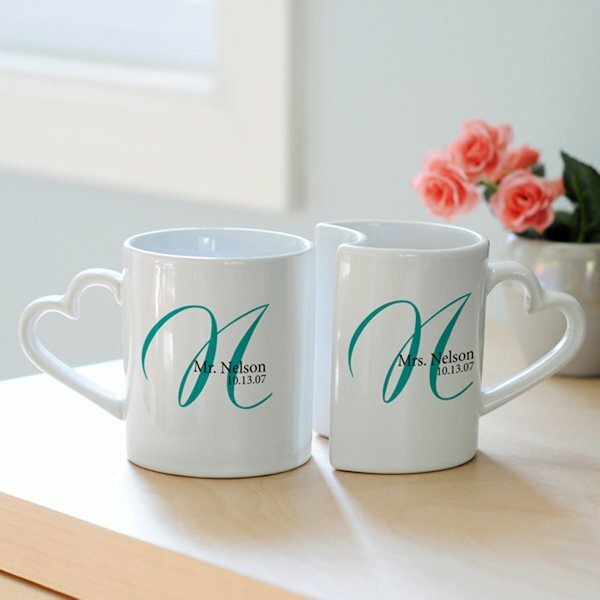 Fitting together like a puzzle, the 10 ounce mugs feature adorable heart-shaped handles. Mugs are constructed from ceramic stoneware making them dishwasher and microwave safe. 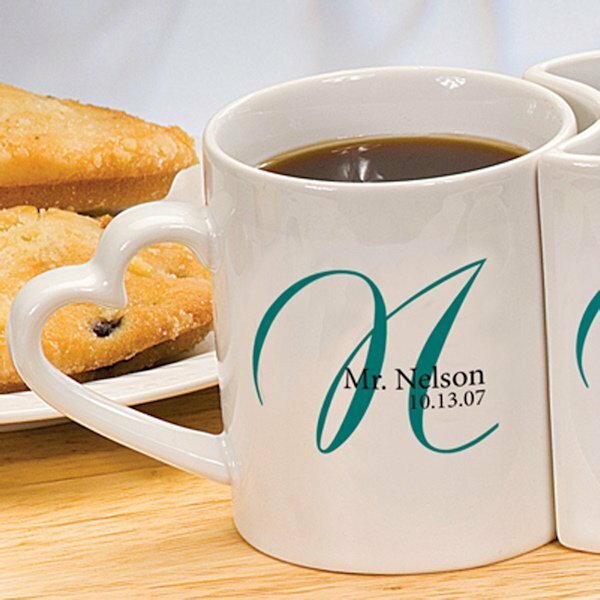 We personalize each set with the couples last name (along with Mr. & Mrs.) and wedding date plus we add the last name initial in large script font. 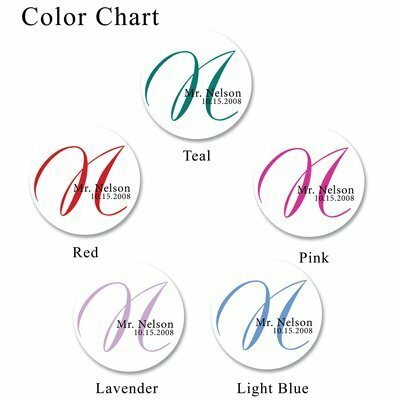 You can choose either teal, pink, light blue, lavender or red ink for the large single initial. What a great practical and fun wedding day keepsake!